Skin pigmentation and sun damage. Acne, breakout prone skin and sensitive skin. 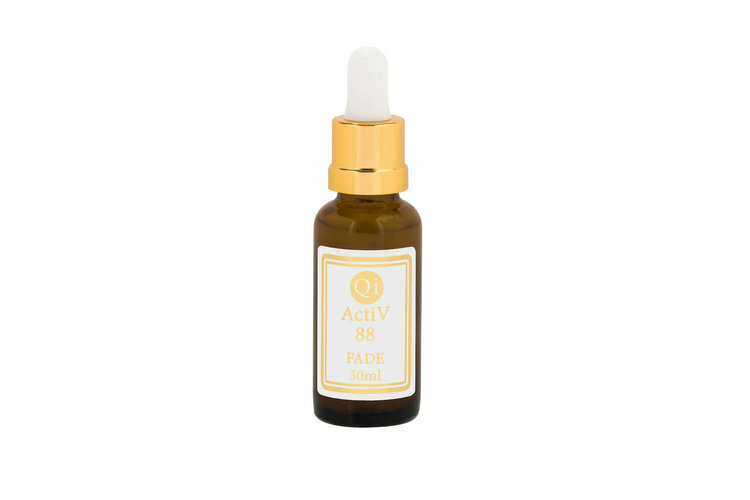 ActiV88 FADE evens overall skin tone by reducing the appearance of pigmentation with natural ingredients Acerola, Licorice Root Extract, Bearberry and Raspberry Seed Oil. Fade is a unique lightening formulation excellent for treating freckles, age spots and even vitiligo. It is gentle on skin and is suitable for all skin types. It can be used on hormonal skin and skin prone to breakouts to reduce the appearance of acne scars and redness. • Acerola is an element prescribed for skin discolouration and hyper pigmentation. • Licorice Root Extract is an anti-irritant for sensitive skin. • Bearberry is a natural hypo-pigmenting component that studies reveal naturally even skin tone. Unique to Qi beauty is the Raspberry seed oil extract. 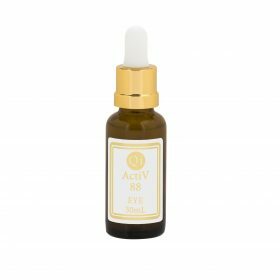 This amazing oil is blessed with natural UVA sun-ﬁltration to help protect skin from damage induced by UV rays. High levels of Vitamin A give this oil a bright orange colour. It also boasts beneﬁcial essential fatty acids and possesses exceptionally high levels of alpha and gamma tocopherols (Vitamin E). Qi beauty’s anti-ageing element of Carrot Seed Essential Oil encourages detoxiﬁcation and cellular regeneration throughout the lightening process to continually encourage healthy skin. Pomegranate is the ﬁnal essential element in Fade Serum, and it works with Carrot Seed to encourage skin elasticity, tone and luminosity. Green tea, Comfrey, Vitamin E, Carrot seed, Bearberry extract, Organic Liquorice extract, Pomegranate extract, Ylang Ylang.